Clients often ask me what books they should read to help them achieve more success in business. I find myself recommending the same books over and over, which is why I decided to compile a comprehensive list on the topic. I’ve read all of the books on the list more than once. In fact, I’ve read some multiple times because I found them so useful. Who Should Read These Books? Although I provide coaching to both business owners and executives, these books can be used by both categories of individuals. For example, there are certain skillsets that are critical for success, whether you’re a business owner or executive: leading others, personal leadership, managing time, operational efficiency, and so on. How Did I Compile This List of The Best Business Books? 1. I personally must have read the book more than once and still continue to revisit it because it is so valuable. 2. It must be “evergreen,” meaning the information within it is not going to become obsolete or any less valuable over time. 3. As I wanted to cover a variety of important topics, I selected what I believe are some of the most educational resources on each topic. The list covers topics such as leadership, management, sales, marketing, influence, persuasion, and more. Because this list is covers several different topics, it shouldn’t be construed as meaning that the first book on the list is necessarily the best. If you only read one book on this list, make it this one. Why? Because it will teach you how to lay the kind of foundation you need for success in all areas of your life–not just business. By living a principle-centered life like the one Stephen Covey outlines, you’ll learn how to become clear on what things are most important and how to concentrate your firepower on them. If you feel like you’re always putting out fires or can’t seem to find the right work-life balance, then Covey’s 7 Habits is for you. And even if you’ve read it before, it’s always worthwhile to pick it up again. This book serves as a companion to Napoleon Hill’s famous book Think and Grow Rich! It provides more information about the key principles Hill identified after spending years studying the lives of some of the world’s wealthiest people. You’ll learn important lessons such as how to have the right attitude, how to accomplish more, and how to take care of yourself emotionally and physically. A lot of middle managers find leadership difficult because they are not the ones in charge of the organization. Middle managers have far more responsibility than authority, and they can struggle to earn respect of subordinates while also keeping those at the top happy. This resource from John C. Maxwell is beneficial for anyone interested in how to navigate certain leadership challenges. It also provides great advice on how to lead yourself. Who is an “influencer”? 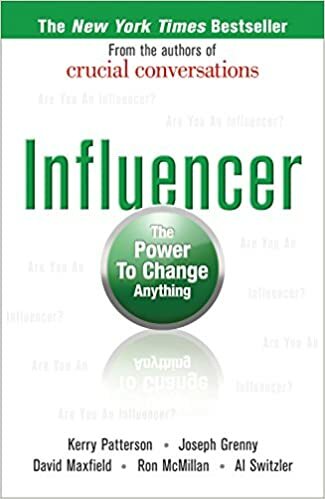 According to the authors, an influencer is someone who (1) motivates others to change; (2) replaces bad behaviors with powerful new skills; and (3) makes things happen. If you need others around you to make changes, simply telling them to do so is not effective—in fact, it can produce the opposite result. This book provides a blueprint that does work, however. It covers the sources of influence for producing changes in other people’s behavior, along with several practical examples. How do you get more people to say “yes”? This is perhaps the most famous book on this topic—and for good reason. Robert Cialdini used years of research to come up with six principles that can be used to persuade others to take a particular action: reciprocity, consistency (and commitment), social proof, authority, liking, and scarcity. Learn what these are and how they work. To lead others, you must first know how to lead yourself. What is the purpose of your leadership? Once you know that, you will be on the path towards authentic leadership. This book from Bill George shows you the process for discovering the purpose behind your leadership and how to use this knowledge to your advantage. This classic business book highlights the struggles of being a business owner, particularly when it comes to building a business that can scale. Michael Gerber explains that business owners who want to be successful must know how to juggle three functions: The Technician, The Manager, and The Entrepreneur. This is a must-read for anyone who owns a business. This book demystifies the process that drives creativity and innovation. David Burkus explains what kinds of processes, environments, and organizational structures promote creativity, as well as those that inhibit it. He also provides real-world examples of companies that have become more innovative by following these principles. To be more innovative, companies don’t have to make huge bets in the form of large expenditures of time and money. In this book, Michael Schrage advocates using inexpensive experiments (no more than $5,000 each) and analyzing the results. This test-and-measure approach for yielding innovation is something more companies should study. Life in the business world often means having a constant barrage of tasks thrown our way. When tasks pile up too high, we can feel debilitated. Where do you even start if you want to dig your way out? The solution to this problem: have the right system in place so you can avoid this situation altogether. I often recommend to clients the Getting Things Done system David Allen teaches. The system makes a lot of sense and it’s easy to implement. This book contains excerpts from Carl von Clausewitz’s famous book On War. 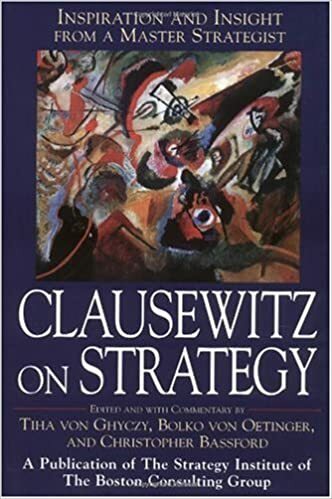 The authors compile Clausewitz’s thoughts about war to today’s business world. It is aimed at helping modern executives and entrepreneurs deal with the unpredictability of today’s business climate. What are the key ingredients for making a strategic process actually succeed? Read it to find out. 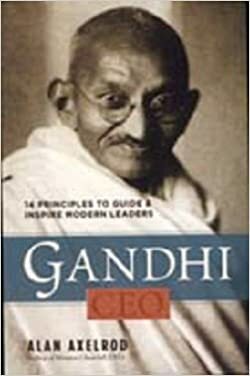 When you think about Gandhi, chances are you don’t think about him as a CEO. But if you consider all he accomplished—and the many thousands of his followers who were willing to take action because of his leadership—you can see why CEOs and other leaders would want to study his example. This book from Alan Axelrod shows just how effective Gandhi was at managing and leading others—and what the rest of us can do to apply these lessons in our own lives. Instead of just leaving things to chance that we’ll reach this state of mojo, Marshall Goldsmith teaches us how we can create it in our lives, maintain it, and recapture it when necessary. What are the things you do best? Do you have the chance to do them on a daily basis? Knowing your strengths, as well as your weaknesses, is crucial for success in the business world. If you’ve never taken a personality test such as the Myers-Briggs (and have no HR department that provides these sorts of things), then StrengthsFinder 2.0 is a useful resource that you can utilize on your own to learn more about what makes you tick and what you’re good at. Note: Don’t buy a bused copy of this book. It comes with an online code you can use to take the Clifton StrengthsFinder assessment. Once used, the code is no longer valid. Just like there are laws of physics, the authors claim marketing has certain “laws” too. If you know what these laws are, you’re more likely to succeed. Should you violate them, you’ll likely pay the consequences. Al Ries and Jack Trout give 22 valuable laws for doing common sense marketing. I recommend picking up the original version from 1994, as opposed to the updated versions geared towards things like internet marketing. The lessons in the original version are “evergreen” and stand the test of time. Most everyone has heard of the original Guerilla Marketing book or, at the very least, the concept of guerilla marketing. This book is a “greatest hits” of all the previous versions of the book before it. It has 47 chapters addressing different marketing topics. While it doesn’t go into a lot of detail about each topic, you’ll get all the necessary information to understand the particular topic at a high level. Because it covers so much ground, this is a great resource for understanding the multiple marketing strategies at your disposal. What are the universal characteristics that can make a company go from good to great? That’s the subject of this valuable book from Jim Collins. This book was based on extensive research carried out by Collins and his team over a five-year period. The study started with 28 corporations and later revealed 11 that had made the leap from good to great. Collins’ findings provide very useful insight that will get you thinking about how to improve your own business or organization. This is short and easy-to-read book from Ken Blanchard and Spencer Johnson is filled with great tips about how to manage others. This is a great resource if you find yourself in the position of having to manage employees for the first time or simply know that your management style isn’t nearly effective as it could be. Understanding how to be a good manager shouldn’t be a difficult subject to grasp. That’s why The One Minute Manager’s simplicity makes it so useful. Drucker believes executive effectiveness can be learned. I wholeheartedly agree. I want to hear from you. Let me know how I can help.